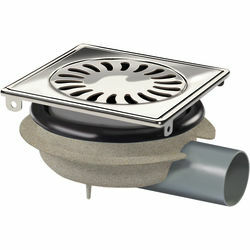 VDB Shower Drains > ABS Shower Drain 150x150mm (Stainless Steel Grate). Van Den Berg square ABS shower drain with stainless steel grating. ABS plastic body with polished stainless steel grate. 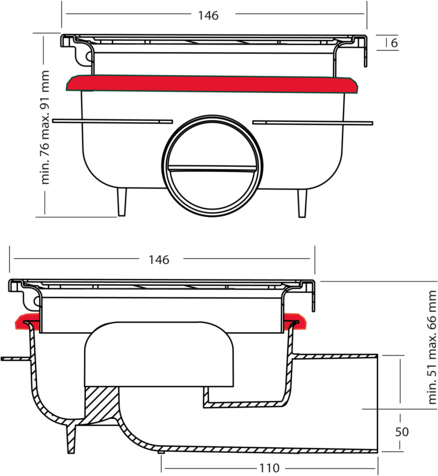 Height adjustable frame and grating (360º rotatable).